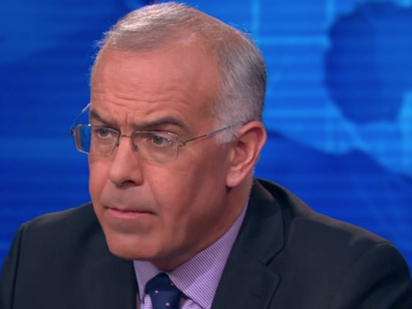 David Brooks: "President Obama Has Run An Amazingly Scandal-Free Administration"; "He's Chosen People Who've Been Scandal-Free"
"President Obama has run an amazingly scandal-free administration, not only he himself, but the people around him. He’s chosen people who have been pretty scandal-free," conservative New York Times opinion writer David Brooks said Friday on PBS' NewsHour. Brooks was discussing the Dennis Hastert scandal with liberal sparring partner Matt Shields at the time. "David makes a good point," Shields said. "And I agree with him on this administration in particular." First, if the allegations about the contact with the boys are true, well, we have seen that with the Catholic Church. We have seen a disturbing undercurrent in American life, I guess, and maybe in world life, of this sort of thing. I am struck, as Mark just mentioned, the whole litany of people, especially of that era, who were involved in some scandal or another. Some of it was sexual. Some of it was more financial, even Tom DeLay’s, Speaker Wright. And it was just all concentrated in a lot of people all at once. Does politics attract such people? I don’t know. Is it prevalent in society? It’s certainly a reminder of original sin. The other thing, though, I did want to say that there are people in American life to whom this has not happened. And I have my disagreements, say, with President Obama, but President Obama has run an amazingly scandal-free administration, not only he himself, but the people around him. He’s chosen people who have been pretty scandal-free. And so there are people in Washington who do set a standard of integrity, who do seem to attract people of quality. And I think that’s probably true of the current group. I hope it’s true of the current leadership group in Congress. But — so they’re not all involved in scandal. MARK SHIELDS: David makes a good point. And I agree with him on this administration in particular. Mark Levin: "If We Can't Win This Time Around, I Don't Think We're Ever Going To Win"
Obama Weekly Address: "Put Politics Aside" And Pass "Freedom Act"